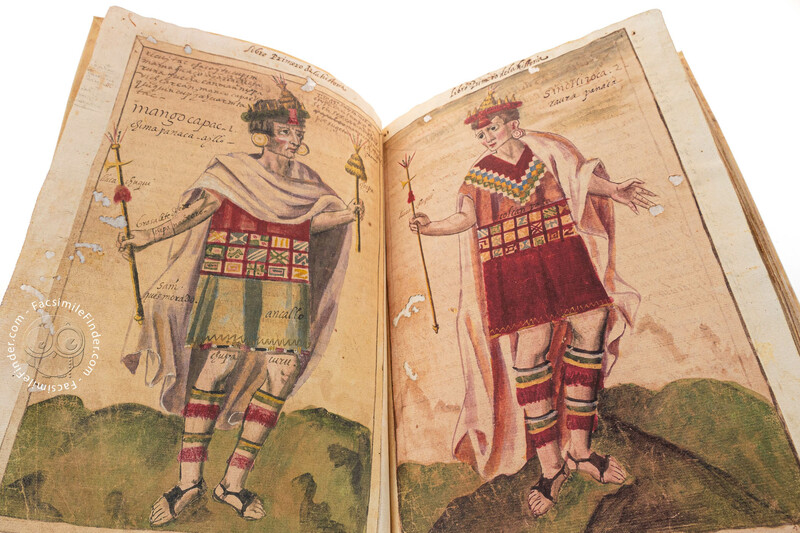 At the end of the 16th century a set of chronicles appeared in Perú which had as its central theme the cultures of the prehispanic and autochtonous populations. 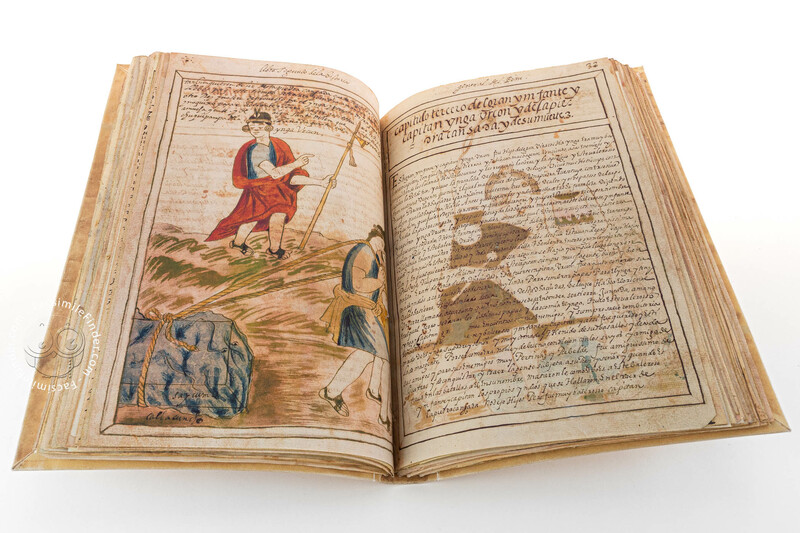 These chronicles had two authors: Fray Martín de Murúa, a priest, and Felipe Guaman Poma de Ayala, an indigene, who included in their works a great number of illustrations. 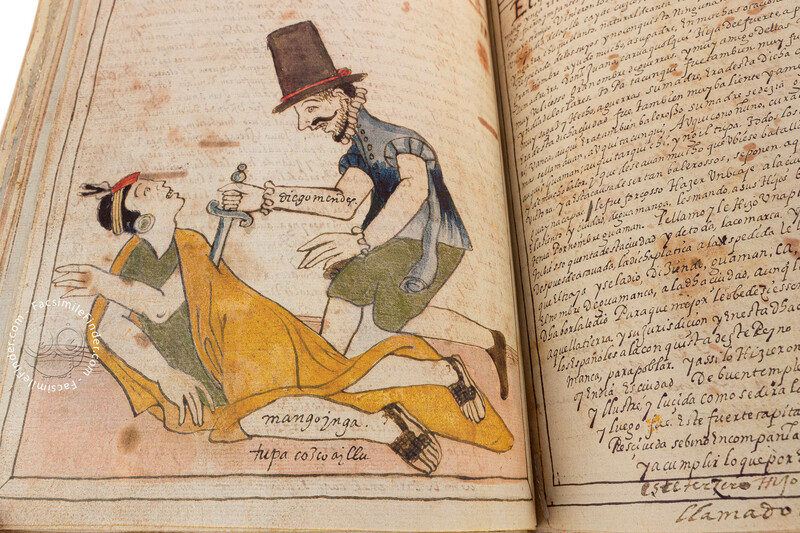 There is evidence that the two authors knew each other and a great number of the illustrations in the priest's work were executed by Felipe Guaman Poma de Ayala. 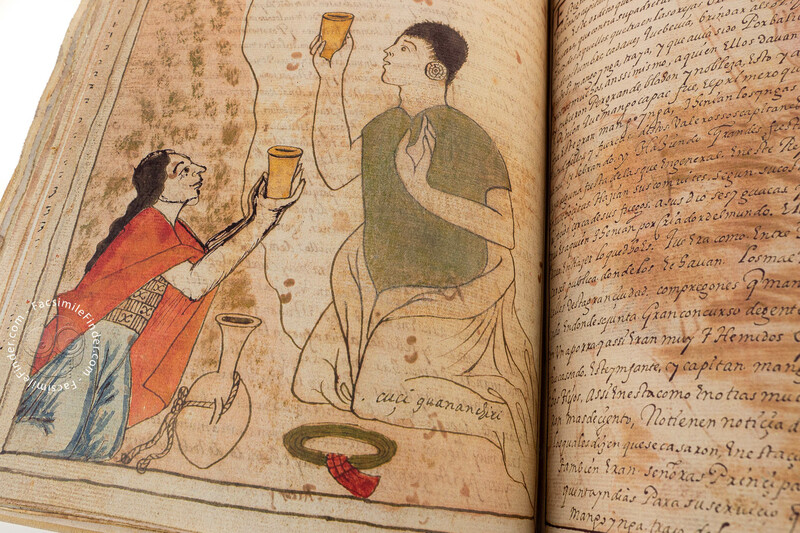 The work of the latter “El Primer Nuova Cronica y Buen Gobierno” (c. 120 pages) has 399 drawings. The priest is the author of two codices, one is known as the Galvin Manuscript, named after its owner and is kept in Dublin, Ireland. 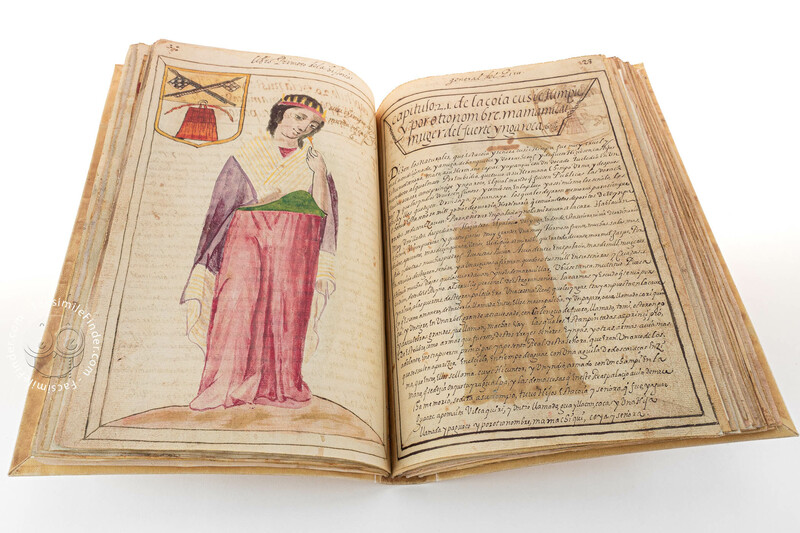 It dates from 1590 and has additions that go as far back as the beginning of the 16th c. Its title “Historia y Genealogía Real de los Reyes Incas del Perú, de sus hechos, costumbres, trajes y manera de Gobierno” tells us about the history, genealogy of the Inca Kings and of their customs, temples, cities, prisons, costumes, dresses and ways of government. The drawings show both an European and an indigene artist. As mentioned, this work had never been published but its text was known thanks to a copy made in 1890, known as the Loyola Ms. 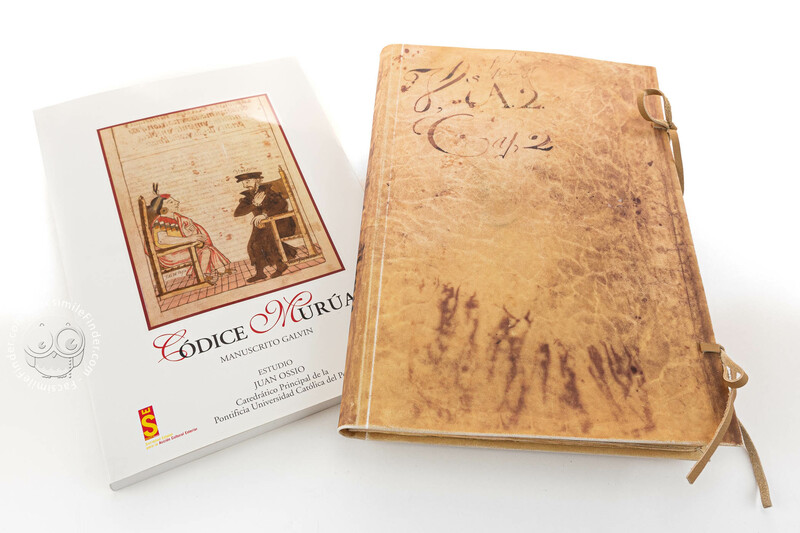 The other codex of Fray Martín de Murúa was discovered in the 1940s, disseminated in two editions and known as the Wellington Manuscript. Manuscript book on parchment − 30.8 × 22.2 cm − 270 pp. Full-size color reproduction of the entire original document, Codex Murua: the facsimile attempts to replicate the look-and-feel and physical features of the original document; pages are trimmed according to the original format; the binding might not be consistent with the current document binding.